Listing Notifier - Find your dream home effortlessly! Find your dream home effortlessly! Just fill out the information and receive emails ONLY for homes in the AREA and PRICE RANGE that you select! Before filling out the form here are some tips to consider! 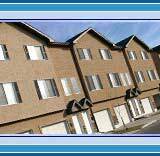 Types - Identify the type of home you are looking for - Residential - Homes with 1 unit; Multifamily - Homes with 2 or more units i.e. 2 Family, 3 Family, 4 Family etc. Locations - Identify the exact location, otherwise you will receive notifications about areas you are not interested in. If you do not select any further than New York City you will receive hundreds of notifications daily. So please select exactly what you are looking for!